Volvo has announced that it has seen an increase in sales over the course of 2008. According to the Swedish automobile manufacturer, there has been a 20 per cent rise in sales during the course of the year despite an overall market downturn of three per cent. It added that between January and July 2008 some 21,155 units were shifted, compared to 17,079 one year earlier. 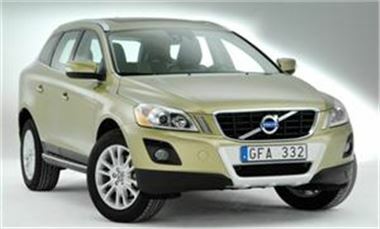 Nick Connor, Volvo Cars UK sales director, commented that the V70 and S8 vehicles helped with the total figure. "We've experienced a high level of interest in the Volvo range this year and we are confident this strong performance will continue throughout the rest of 2008," said the official. Meanwhile, Volvo Trucks has announced that it recorded a 14 per cent increase in the delivery of vehicles over the course of July, with 8,092 models sold.